Creative Scholars’ Junior Kindergarten program is designed with your child’s development in mind. The classroom is organized in a way that provides the increasingly social young junior kindergarten age child with a variety of opportunities to participate in collaborative play and projects with their peers while at the same time providing the older junior kindergarten aged child the opportunities to collaborate, build self-regulation and problem solving strategies, and engage in literacy, math, and science activities that set the foundation for kindergarten. . 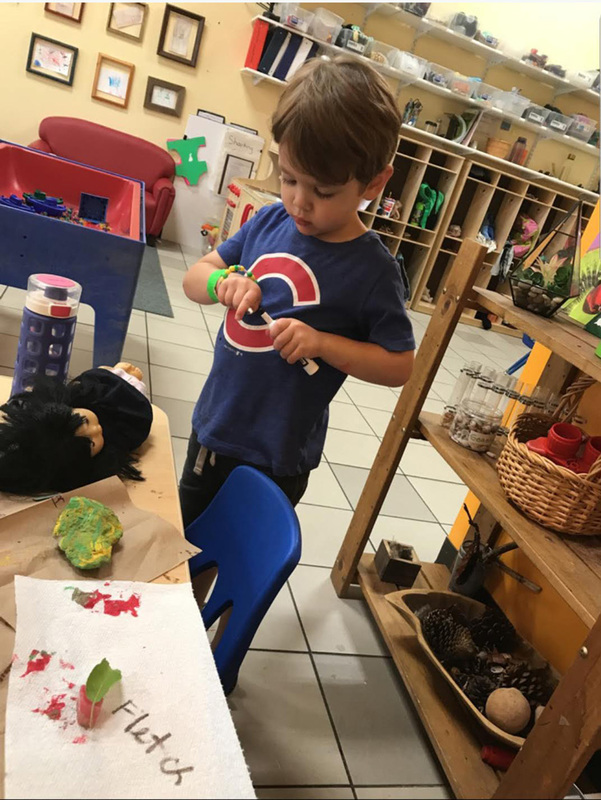 The teaching staff at Creative Scholars supports the junior kindergartener’s desire for increased independence; we understand that as the junior kindergarten aged child uses increasingly more language and is physically more coordinated that they are able to do so many things by themselves. We understand that when a 3 year old says, “I can’t” what they really mean is, “please help me develop confidence in my own abilities and let me try things out.” We understand that 3 year olds believe that a wish is truth and struggle with the idea of real and make-believe. Children in our junior kindergarten program are supported during this time of development by teachers who facilitate a classroom full of rich language and literacy experiences, humor, and joy. We understand that a 4 year old is going through a developmental shift in which they are really starting to know that other people have different ideas and we support them in managing the emotions that come with this new understanding. The teaching staff works to build a strong social-emotional competence that will guide the children as they move into kindergarten and beyond. We also know that a 4 year old is incredibly curious and motivated to learn new things. Through play and small group activities, the 4 year old is introduced to many literacy, math, and scientific concepts. Our goal is for children to leave for kindergarten with a holistic understanding of letters, words, and why we write; a love for books and stories; an mathematical understanding of number sense, categorization and patterning, data analysis, measurement, and spatial awareness; the skills to think like a scientist by hypothesizing, observing, reflecting, and sharing information, and the confidence in themselves as learners. The children in the junior kindergarten program spend their days exploring books and songs, writing and drawing, painting and creating, collaborating on dramatic play roles and scenarios, participating in pre-literacy and math activities, and taking on the role of scientist as they investigate the life sciences, physical sciences, and more! Children in the junior kindergarten program should be toilet trained upon starting the program. Teaching staff will support the child in gaining more independence in their use of the restroom; they may bring pull-ups to change in to for rest time if needed.